Simple kites purchased at the store or offer materials as suggested in the book for small groups of students to construct a kite. Say, “Today we are going to learn about aerodynamics! First we are going to read a book that will help us learn what this means and then we will use what we have learned." Read Up, Up in the Air. This is a story about a young boy who enters a kite-flying contest. He learns how to build a kite and discovers how to keep it in the air. The book also includes instructions for how to make a kite out of a heavy-duty trash bag. This can be an additional activity for your students. Allow time for groups to use the supplies to build a kite. Circulate around the room to assist the groups. You may want to enlist a few adult volunteers to help. Hang the kites around the room as decoration until a perfect weather day when you can go outside to test the theories of lift, drag, thrust and gravity. 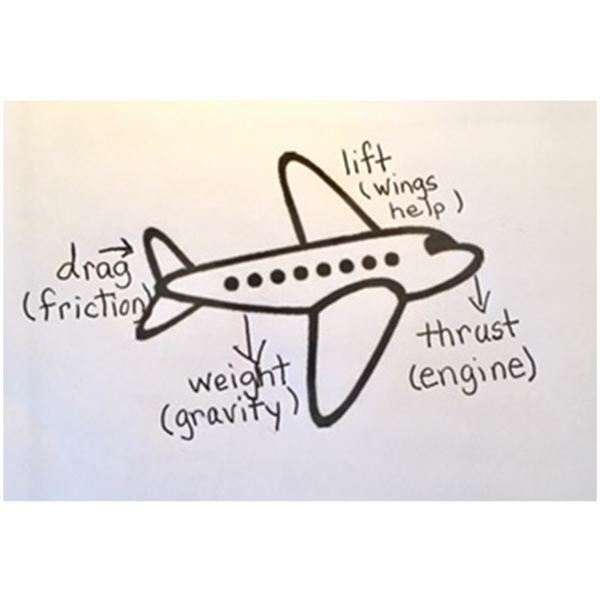 Before going outside review the concepts of aerodynamics by showing the short video “How Things Fly" on the Smithsonian Air and Space Museum website. Upon return of the kite-flying excursion, discuss the results. What adjustments had to be made to the kite for the best results? What techniques were used to get the kites in the air initially? Working in pairs, students will make paper airplanes using the suggestions in the book Kid’s Paper Airplane Book by Ken Blackburn. Then test the planes in the classroom or multi-purpose room. How can we change the plane to give it more lift? How does the amount of thrust change the length of flight? Which style of airplane traveled the farthest? Blaisdell, Molly. Up, Up in the Air. Picture Window Books, 2008. Blackburn, Ken. Kid’s Paper Airplane Book. Workman Publishing Company, 1996.